About Us|NIPPON ANIMATION CO., LTD. 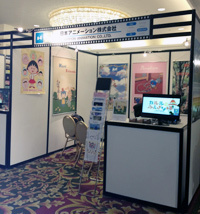 Featuring The Classic Family Theater Series as its main program line, NIPPON ANIMATION has been internationally oriented right from the very beginning. Its programs have been distributed in Asia, Europe, America and other areas around the world for TV broadcasting and Home Video releases and have been highly acclaimed in all regions. To develop programs that can be accepted not only in Japan but also on the world market, NIPPON ANIMATION works with studios and TV stations in Asia, Europe and the U.S for production. Our international co-productions have provided us with invaluable cultural exchange, inspiration for innovative concepts, and a renewed sense of pleasure at the privilege of being involved in the animation production industry. 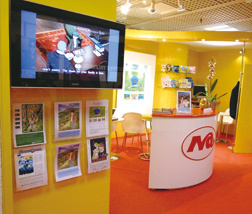 NIPPON ANIMATION annually attends international TV program markets such as MIP-TV and MIPCOM in Cannes and NATPE in the U.S.A to discuss co-production and distribution of programs. We find all these markets to be indispensable in giving us an opportunity to strengthen relations with our clients and keep abreast of new developments. To look for new characters and stories for our future productions, we also attend international book fairs in Frankfurt (Germany) and Bologna (Italy). 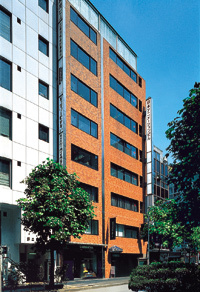 NIPPON ANIMATIONs international operations are managed by its International Department, which is located in the companys head office in the central Tokyo district of Ginza. 10-11, Ginza 7-chome, Chuo-ku, Tokyo 104-0061, Japan.